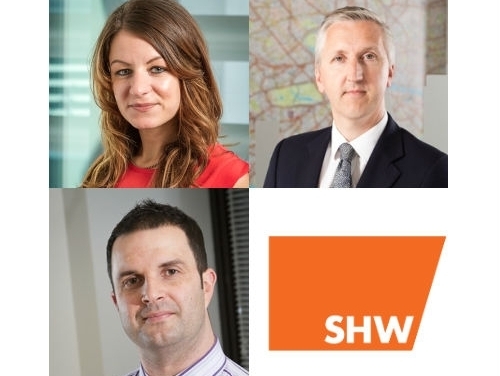 Three new Partners have migrated from employed Director to join SHW LLP’s equity partnership. Emma Hards BSc (Hons) MRICS of the firm’s Brighton Business Space team; Head of Property Management Adrian Dack BSc (Hons) MRICS, based in SHW’s London office and Paul Farrell BSc (Hons) MIRPM AssocRICS of SHW’s Residential Property Management team in London. Commenting on the appointments, Managing Partner Martin Clark said: “We are very pleased that Emma, Adrian and Paul accepted our invitation to join our Partnership. They have expertise in key areas of the sectors we operate within and have demonstrated consistent, imaginative and committed service to our clients. The promotions demonstrate the firm's continued growth and ability to attract and retain key talent."